Alison Shaffer: "Toss in the Flavor" with Redpack Tomatoes giveaway. Enter today! 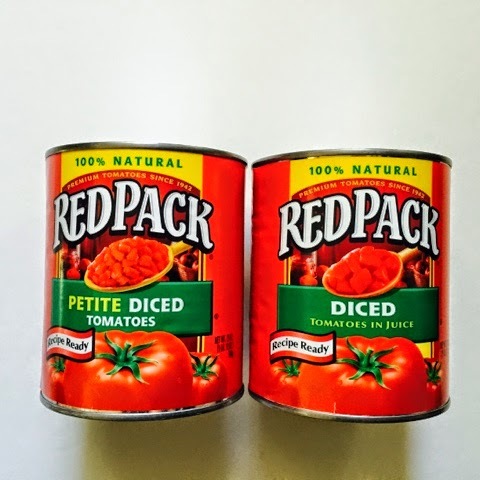 "Toss in the Flavor" with Redpack Tomatoes giveaway. Enter today! Redpack Tomatoes is holding it's second annual "Toss in the Flavor" promotion during National Salad Month. There are prizes and recipes! Visit Redpack Tomatoes on Facebook May 13-June 10 to enter for your chance to win a Grand Prize Picnic Basket worth $400! One basket will be given away each week during the promotion, plus Redpack Tomatoes is also giving away 3000 custom Redpack tote bags. So go enter for your chance to win! The basket includes tools to help you make your favorite Redpack Summer Salad, so you can spin, chop, toss, dress, and mix your favorite Redpack Summer Salad. Please visit Redpack on Facebook for all the details and fine print. Did you know you can use canned tomatoes in appetizer and salad recipes as well as main dishes and of course pastas? Well, you can! The benefits of using canned tomatoes are: juicer tomatoes, healthier-picked and canned at peak of ripeness, already peeled and diced and less expensive that tomatoes in the produces dept, plus you can store them in you cupboard for anytime you need tomatoes. This is my go to Summer Salad recipe for weeknight dinners, it's super easy, and super fast to prepare. Disclosure: I received samples of RedPack Tomatoes and a tote bag from RedPack. The comments and views are my own.